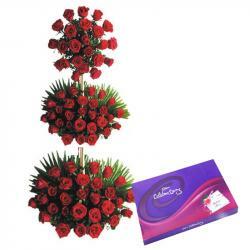 Product Consist : 6 Red Carnations in Glass Vase and Cadbury Celebration Box (Weight : 125 Gms). 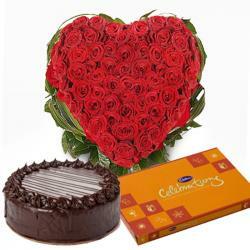 Express your deepest feelings for your sweetheart on this coming Valentine day with Red color carnations. Your beloved heart shall definitely melt when you gift her/him this carnation. These Red carnations are come in very special vase. 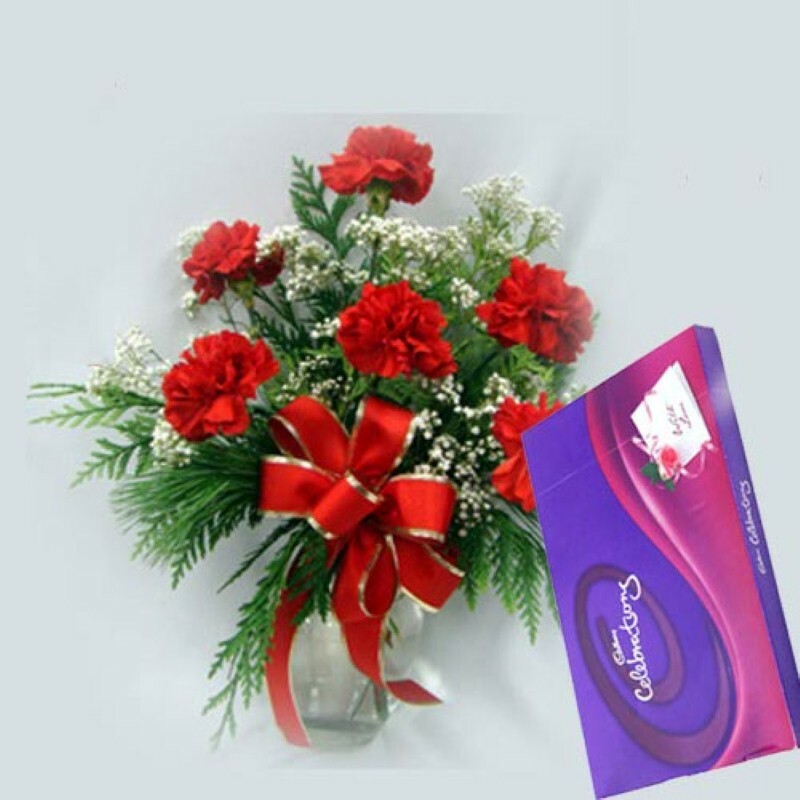 Special Six Carnations are not only fresh but it is fully bloom and surely convey your special feeling of love. This hamper also includes Cadbury Celebration box which gives a yummy chocolaty treat on valentines day surely delights yours special one. 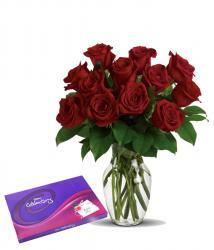 So, go head and send this special vase of red carnations and chocolates to your love ones in India. 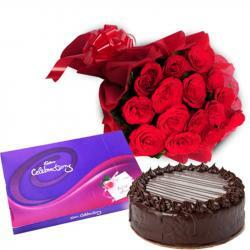 Product Includes : 6 Red Carnations in Glass Vase and Cadbury Celebration Box (Weight : 125 Gms).